This knob was destroyed and then some criminals gained entry. A knob guard protects your doorknob and prevents this. There is a parking garage somewhere in Seattle where criminals want to go really badly. It all started with this old Schlage D series knob getting destroyed. This was the most robust of Schlage’s product line and a very expensive lock, it is too bad this got ruined by some lowlife. This is a lock with a knob guard that stopped criminals in their tracks. I installed a replacement knob and a shroud over it called a knob guard so that the knob is not directly accessible and can’t be hammered or wrenched. 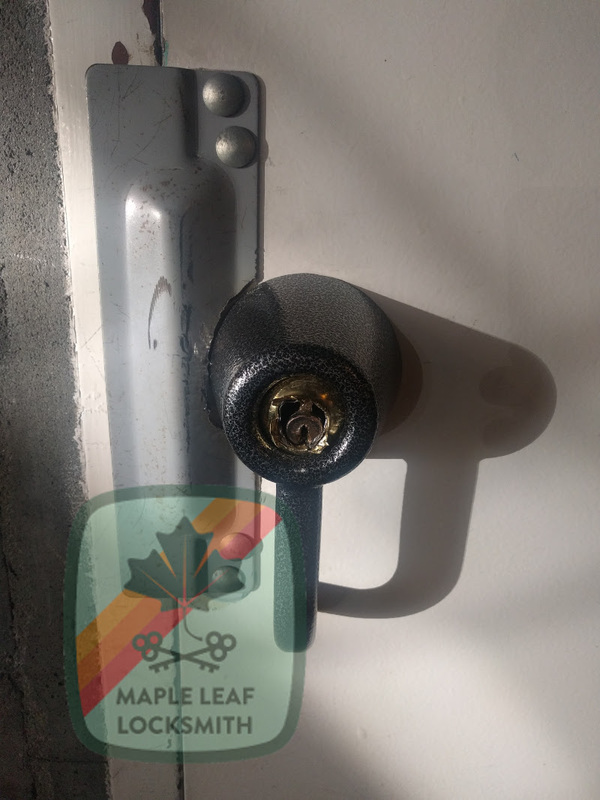 Despite the lock being destroyed, the knob guard did its job: the criminals were denied entry. Imagine how long they must have been prying and pounding on this poor doorknob before giving up! The nice thing about knob guards: inexpensive doorknobs can be used in them with relatively high security. For high crime areas this is an inexpensive way to guard your building. 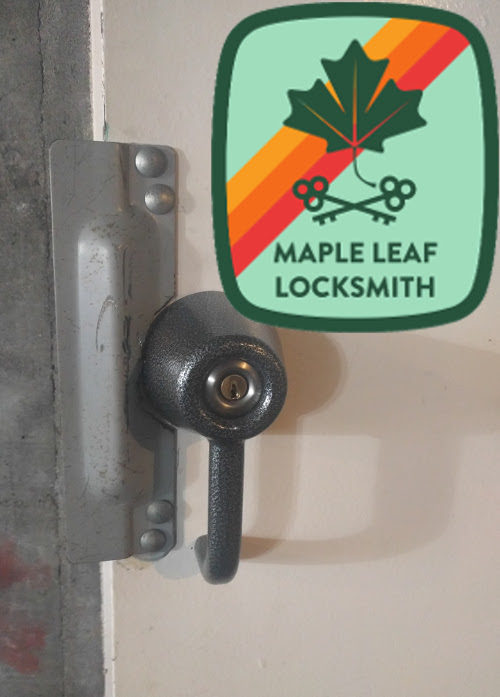 Bolt this knob guard on over your doorknob and even if the knob is destroyed it can be replaced with another inexpensive doorknob. 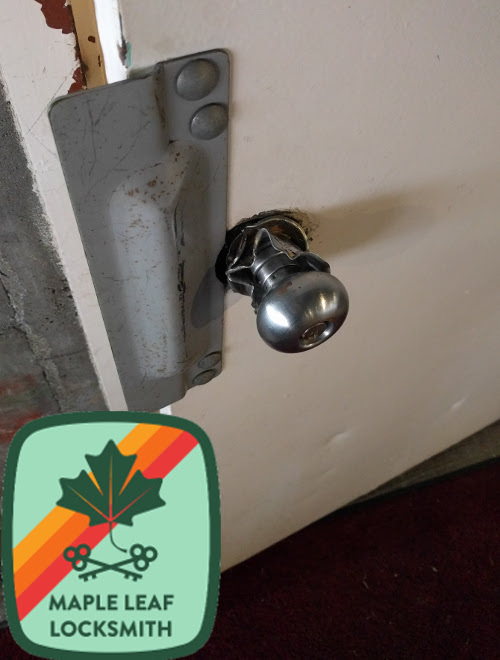 The knobs I’m using here are about 1/5 the price of the one that after being destroyed allowed the thieves access to the building so the knob guard pays for itself after the first break-in attempt. Of course destruction of your property is not ideal but if you can’t afford a late night security detail and can’t get the police to patrol the area more frequently this is an inexpensive option for you.